(Mahdi Darius Nazemroaya) Published 2007- According to a wide range of reports, several nuclear bombs were “lost” for 36 hours after taking off August 29/30, 2007 on a “cross-country journey” across the U.S., from U.S.A.F Base Minot in North Dakota to U.S.A.F. Base Barksdale in Louisiana. Reportedly, in total there were six W80-1 nuclear warheads armed on AGM-129 Advanced Cruise Missiles (ACMs) that were “lost.”  The story was first reported by the Military Times, after military servicemen leaked the story. It is also worth noting that on August 27, 2007, just days before the “lost” nukes incident, three B-52 Bombers were performing special missions under the direct authorization of General Moseley, the Chief of Staff of the U.S. Air Force. The exercise was reported as being an aerial information and image gathering mission. The base at Minot is also home of the 91st Space Wings, a unit under the command of Air Force Space Command (AFSPC). It is also being claimed that military teams in both U.S.A.F. Base Minot and U.S.A.F. Base Barksdale made major “procedural errors”. What are the probabilities of this occurring simultaneously in two locations? 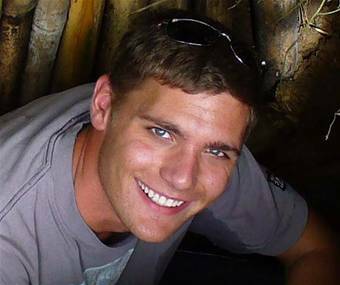 Airman 1st Class Todd Blue went on leave days after the nuclear weapons were “lost.” Blue died under questionable timing while on leave, visiting his family in Wytheville, Virginia at the age of 20 on September 10, 2007. He was a response force member assigned to the 5th Security Forces Squadron. What does this mean? Airman Todd Blue occupied a key position in weapons systems security at Minot. At Minot U.S.A.F. Base the 5th Security Forces Squadron to which he belonged was responsible for base entry requirements and a particular section, the Weapons System Security section, was responsible for preventing the unauthorized removal of military property. The latter is responsible for security of all priority resources, meaning the security of nuclear weapons. In other words not only did the 5th Security Forces Squadron keep eyes on what entered and left Minot, but they kept an eye on and monitored the nuclear weapons. U.S. Air Force Captain John Frueh is another serviceman who could have been indirectly connected to the “lost” nuclear weapons. He was reported as being last seen with a GPS device, camera, and camcorder being carried with him in a backpack. Local police in Oregon and the F.B.I. seemed to be looking for him for days. His family also felt that something bad had happened to him. His background was in meteorology and the study of the atmosphere and weather. He was also reported to be a U.S. Air Force pararescue officer. He was also a major-select candidate, which means he was selected for a promotion as a U.S. Air Force major, but was not officially promoted. Captain Frueh belonged to the U.S.A.F. Special Operations Command. U.S.A.F. Special Operations Command has its headquarters in Hurlburt Field, Florida and is one of nine major Air Force commands. It is also the U.S. Air Force’s component of U.S. Special Operations Command, a unified command located at MacDill Air Force Base, which is also in Florida. The force provides special operations forces for worldwide deployment and assignment to regional unified commands, such as CENTCOM. Its missions include conduct of global special operations. These operations — and this is where careful attention should be paid — range from “precision application of firepower, such as nuclear weapons,” to infiltration, exfiltration (the removal of “devices,” supplies, spies, special agents, or units from enemy territory), re-supply and refuelling of special operational elements. In Captain Frueh’s case his death is questionable too. The U.S. Air Force would not let a missing persons’ investigation go forward by the police without conducting its own investigation. Usually the different service branches of the U.S. military would investigate for missing servicemen, to see if these individuals are Absent Without Authorized Leave (AWAL) or have deserted, before an individual’s case is handed over to the police. 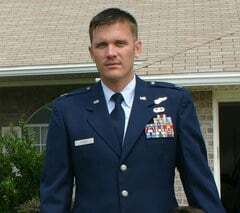 Senior Airman Barrs died as a passenger in a vehicle being driven by Airman 1st Class Stephen Garrett, also from Minot. Garrett, also belongs to the 5th Aircraft Maintenance Squadron. The death of Barrs was reported as being part of a single-vehicle car accident. Associated Press reports state that “[Minot] Base officials say 20-year-old Barrs was a passenger in a vehicle that failed to negotiate a curve, hit an approach, hit a tree and started on fire late Tuesday [July 3, 2007] night.”  Barrs was pronounced dead on the scene of the accident, while Garrett was taken the hospital with no updates released by the U.S. Air Force. Adam Barrs also belonged to the 5th Aircraft Maintenance Squadron, where he was responsible for the maintenance and securing of the electronic communicational and navigation mission systems aboard the B-52H Stratofortresses on base. The 5th Aircraft Maintenance Squadron is also one of the units that are responsible for loading and unloading weaponry onto the B-52H Stratofortresses. The deaths of Kissel and Barrs could be dismissed as irrelevant because they occurred prior to the incident. However, Barrs and Kissel could have been in one way or another connected to the advanced planning of the special operation, prior to the incident (special operations are not planned in a few days and may take months and even longer). There is, of course, no proof and only an independent investigation will be able to reveal whether these deaths are connected to the incident. If there was an internal and secretive operation bypassing most military personnel, a few men in key positions would have to have been involved over a period of time prior to the August 29/30, 2007 flight. Senior Airman Barrs, due to his expertise in communication and navigational systems, could potentially have been involved in the preparations that would have allowed the nuclear weapons to escape detection by military surveillance and be ready for takeoff. According to the Military Times, George W. Bush Jr. had been swiftly informed. This is a lockstep procedure. This illustrates the importance tied to the authorization needed for handling nuclear weapons. This is part of a two-way process in regards to authorization from the White House. The commander of the 5th Munitions Squadron and the commander of the 5th Bomb Wing, Colonel Bruce Emig, have been replaced along with a series of other senior officers. This implies that the U.S. Air Force chain of command is directly involved in this event. None of these senior officers have been authorized to speak or make statements, according to U.S. military sources. Will any of these officers receive lucrative departure packages? Have they been reassigned? More generally, the nature of the reprimands directed against senior officers involved has not been fully disclosed. The “memory” of the incident is being erased through a reorganization of the ranks and a purge at U.S.A.F. Base Minot. The streamlining of the chain of command as well as the mysterious deaths of personnel who could have been involved in the incident, raise a series of far-reaching questions. There are several important issues regarding the senior officers’ chain of command at Minot, which will be addressed in this article. Once again, the most important questions in regards to the missing nukes are:Who gave the orders and authorization for the operation and what where the underlying objectivesof loading armed nuclear missiles? Other Mysterious Deaths: Was the Missing Nukes Incident connected to US War Plans directed against Iran? He apparently killed himself by running his car’s engine inside his suburban garage in Virginia. The death of Charles D. Riechers has been casually linked by The Washington Post to his involvement in fraudulent activities and embezzlement. The Washington Post reported that the Air Force had asked defense contractor, Commonwealth Research Institute (C.R.I. ), to give him a job with no known duties while he waited for official clearance for his promoted rank in the Pentagon. Riechers is quoted as saying: “I really didn’t do anything for C.R.I.,” and “I [still] got a paycheck from them.” The question, of course, was whether the contractor might expect favours in return upon his assignment to the Pentagon last January. A mysterious suicide letter expressing shame was subsequently reported; the letter was reportedly from a man who had already admitted without shame that he was receiving money for doing nothing. This was known to the U.S. Senate, which had approved his promotion. In a report featured by Pravda, Russian Intelligence analysts have said that the reported suicide of Charles D. Riechers was a cover-up and that he was murdered because of his involvement in the controversial flight of nuclear weapons over the continental United States. According to the Pravda report, the incident was linked to an operation to smuggle nuclear weapons away from the U.S. military in connection to launching a war against Iran. The Commonwealth Research Institute (CRI), a registered non-profit organization is a subsidiary of Concurrent Technologies, which is registered with the IRS as a tax-exempt charity, which is run by Daniel Richard DeVos. Devos is also an associate of John P. Murtha, who was investigated by the F.B.I. for his Saudi links. Certainly the ties of the Commonwealth Research Institute (CRI), a non-profit organization working for the Pentagon, are questionable and the organization could be a front for internal operations that bypass most military personnel. The case appears to be part of an internal operation that was being kept a secret from most of the U.S. military, but what for? Russell Dougherty in the course of his military career in the U.S. Air Force had dealt with the issues pertaining to Mutual Assured Destruction (MAD), full spectrum dominance, how to defeat the enemy and avoid a nuclear war, other uses for nuclear weaponry, Nuclear Primacy for the U.S., and tackling the effects of the wind and weather — due to their unpredictable natures — on the use of nuclear weapons. The fact that the nuclear warheads were attached to the nuclear cruise missiles could mean that someone wanted to take the weapons in one step or to use them right away. Several of the commanding officers at Minot were freshly appointed in June, 2007. This may have been part of standard procedures, but the timing should not be ignored. Colonel Robert D. Critchlow was transferred, just before the incident, from the Pentagon to Minot and appointed commanding officer for the 91st Operations Group, a missileer unit and the operational backbone of the 91st Space Wing. 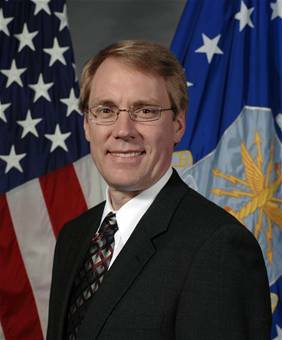 In Washington, D.C. he was involved in research for the Congressional Research Services and later posted into Air Force Nuclear Response and Homeland Defence. Colonel Myron L. Freeman was transferred from Japan to Minot in June, 2007. Colonel Freeman was appointed as the commander of the 91st Security Forces Group, which is responsible for securing Minot’s nuclear arsenal. Colonel Gregory S. Tims was also appointed as deputy commander or vice-commander of the 91st Space Wing in June, 2007. However, Colonel Tims was transfered to Minot from California almost a year before. One of the most senior non-commissioned officers (NCOs) or non-commissioned members (NCMs),Chief Master Sergeant Mark R. Clark, was also transferred to U.S.A.F. Base Minot from Nebraska in July, 2007. Colonel Roosevelt Allen was also transferred to Minot from Washington, D.C. to become commander of the 5th Medical Group. Colonel Bruce Emig, the now-former commander of the 5th Bomb Wing, was also transferred to Minot from U.S.A.F. Base Ellsworth in South Dakota in June, 2007. Colonel Emig was also the base commander of Minot. Colonel Cynthia M. Lundell, the now-former group commander for the 5th Maintenance Group, the unit responsible for loading and unloading weaponry onto the B-52H Stratofortresses was also freshly transferred from a NATO post in Western Europe in June, 2007. Were these appointments temporary? Were any of these appointments related to the six “lost” nuclear missiles? On June 15, 2007, George W. Bush Jr. met senior officers from U.S.A.F. Base Minot at U.S.A.F. Base McConnell in Wichita, Kansas during a visit to Boeing’s Integrated Defense Systems facility. Amongst them was Major Daniel Giacomazza of the 5th Operational Support Squadron. Senator Patrick Roberts of Kansas was also present. “While he chaired the Senate Intelligence Committe from 2002 to 2007, [Senator] Roberts stonewalled attempts to investigate everything from the manipulation of intelligence in the rush to war in Iraq, President Bush’s warrantless wiretaps, and even allegations of the use of torture by the CIA,” according to Associated Press (AP) reports. The same report also indicates that the U.S. President was in Wichita for a political fundraiser, and stopped at a new Boys and Girls Club of America to defray the costs of getting to Wichita via Air Force One for Senator Roberts’ campaign. Military sources have reported that a B-52H Stratofortress was flown to Wichita so that Boeing’s engineers could take a look in order to make adjustments to the war planes for a new military program. Nothing has been reported about any private meetings between President Bush Jr. or any of his presidential staff and the personnel from Minot. However, reports have been made of meetings between military families and the U.S. President in his office on Air Force One. General Moseley, the Air Force Chief of Staff, had previously visited Minot on March 14-15, 2007, a month before Minot airmen went to Wichita. If a secret mission was being prepared, these events could have played a role in the recruiting phases for an important internal special operation. Following their recruitment, Minot servicemen could have symbolically met General Moseley or White House officials to understand that the mission was being sanctioned by the highest ranks and offices in the United States. Orders had to come from higher up. The operation would not have been possible without the involvement of more than one individual in the highest ranks of the U.S. Air Force command structure and the Pentagon. The only way to bypass these separate chains of command is “to be above them” (from higher up), as well as to have the possibility of directly overseeing their implementation. These orders would then have been communicated to lower levels in the U.S. Air Force command chain in different locations, to allow for so-called “oversight” to proceed. The alternative to this is “an alternative chain of command,” although this also needs someone in the highest ranks of office to organize and oversee. The U.S. Air Force has publicly stated that it has made a “mistake,” which is very unusual and almost unprecedented for a military organization that tries to continually assure the American public of their safety. The fact that seventy or more military personnel have been punished in the case of the “lost” nuclear weapons does not mean, however, that the senior commanding officers responsible for having carried out the special operation will be identified and punished. Quite the opposite. The investigation could indeed result in a camouflage of the chain of command, where lower-ranking military personnel are accused and court-martialed, with a view to ultimately protecting those in high office who have committed an act of treason. The series of deaths mentioned above, may have no ties whatsoever with the the August flight in question from Minot to Barksdale, but the issues of command, monitoring, and authorization cannot be overlooked or ignored. The American people have before them a case of treason that involves the highest offices of government and most probably the offices of the President and the Vice-President. With time it is possible that military servicemen and servicewomen may come forward with more information. However, in the meantime, there has been a streamlining of military personnel at U.S.A.F. Base Minot. Base personnel have become dispersed and reassigned to other locations. If they on the grounds of loyalty to their country, the United States of America, come forward and reveal what has taken place, they are to be saluted with full honour by all ranks. As George Orwell said, “In a time of universal deceit, telling the truth becomes a revolutionary act,” and indeed these are deceitful times. The fact that U.S. Air Force officers came forward and reported this incident is contrary to U.S. military procedures, regulations, and laws. The U.S. military will never release any information that will risk or damage its reputation. Any information in regards to nuclear weapons can not be released without prior consultations with and authorization by the White House. The nuclear weapons were armed and moved deliberately. Orders had to have come from the highest echelons of the U.S. government. The question is what exactly were they meant for? Were they part of a war agenda or something else? What adds intrigue to an understanding of the missing nukes, are the international events and war games taking place just after the “lost” nuclear weapons incident, not to mention the President’s ongoing threats to attack Iran with nuclear weapons and Vice President Cheney’s repeated warnings that a second large scale terrorist attack on America is under preparation, with the support of Iran. In the U.S., under the Vigilant Shield 2008 war games (initiated in September, 2007) and the TOPOFF anti-terrorism exercises, some form of nuclear terrorist attack on American soil had been envisaged. The roles of Russia and China had also been contemplated. The latter would be “a likely scenario” had the U.S. attacked Iran and as a result Russia and China had decided to intervene. Under Vigilant Shield 2007, held in 2006, the possibility of a nuclear war with Iran’s allies, Russia and China, had been contemplated in the war games scenario. The Kremlin has responded by holding its own war games. 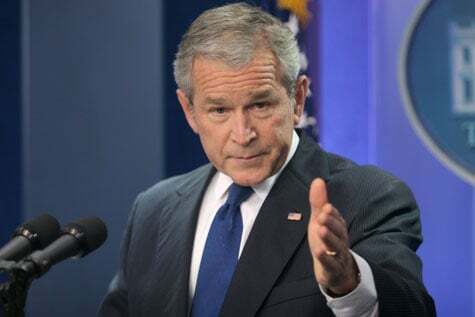 An unveiled threat to trigger World War Three has been the response of George W. Bush Jr. to Russia’s statements warning that a U.S. sponsored war with Iran, could result in an escalating World War III scenario. The six nuclear warheads were not meant for use in theatre operations against Iran. This is obvious because if they were then they would have been deployed via the proper procedural routes without the need to hide anything. Besides, there are already theatre-level nuclear weapons ready and armed in Europe and the Middle East for any possible Middle Eastern mission. There was something more to the incident. Nuclear warfare, the militarization of space, and “the missile shield” are interrelated military processes. The overtones of Nuclear Primacy are hanging in the air. One of the goals of the U.S. military has been to effectively shield itself from a potential Russian or potential Russian and Chinese nuclear response to a nuclear “First Strike” from the U.S. military. The militarization of space is also deeply linked to this military project. Like their advanced knowledge about the U.S. missile shield project, Russian and Chinese officials have got wind of these ambitions and are fully aware of what the U.S. intends to do. Mahdi Darius Nazemroaya is an independent writer based in Ottawa specializing in Middle Eastern affairs. He is a Research Associate of the Centre for Research on Globalization (CRG). Sarah Baxter, US hits panic button as air force ‘loses’ nuclear missiles, The Times (U.K.), October 21, 2007. The Nuclear Reactions Data Centres also estimated that the W80-1 stockpile included a total of 1,400 warheads remain in stockpile associated with the 900 ALCMs that are in storage with their warheads removed. Baxter, US hits panic button, Op. cit. John Andrew Prime, Barksdale bombers expand B-52 capabilities, The Sheveport Times, August 27, 2007. Baxter, US hits panic button, Op. cit. 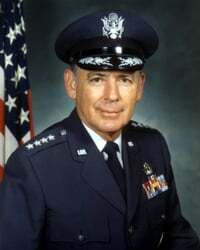 ; Major-General Newton is also responsible for formulating policy supporting air, space, nuclear, counter-proliferation, homeland, weather, and cyber operations. Because of his role as one of the Air Forces’ key flag officers in regards to nuclear issues and counter-proliferation he has been involved in war planning in regards to Iran, Israeli preparations for attacks on Syria, and the 2006 Israeli war against Lebanon. Robert Stormer, Nuke transportation story has explosive implications, Fort Worth Star-Telegram, Octobers 8, 2007. Ibid. ; To help ensure adequate shipboard security, TLAM-N is protected by an intrusion detection alarm system that indicates an intrusion, both visually and audibly, at a continuously manned station capable of dispatching a security team. Michael Hoffman, B-52 mistakenly flies with nukes aboard, Military Times, September 10, 2007;Associated Press sources also made the same report. Military Times simply changed their article and AP withdrew its report on the basis of a factual error. Office of the Inspector General, U.S. Department of Defence (DoD), Year 2000 Status of the Defense Threat Reduction Agency Nuclear Weapon Information Tracking Systems, Report No. 99-235 (August 19, 1999). Michael Hoffman, Commander disciplined for nuclear mistake, Militarty Times, September 7, 2007. Minot Airman dies while on leave, Minot Air Force Base Public Affairs, September 12, 2007. Body of missing Air Force captain found, Associated Press, September 10, 2007. Kimberly Wilson, Portland police seek Air Force weatherman missing on trip, The Oregonian, September 5, 2007. U.S. Air Force operatives that are tasked with recovery and medical treatment of personnel in war environments, as well as handling astronauts returning from space. They are the only members of the U.S. military that are specially trained and equipped to conduct personnel recovery operations in hostile or denied areas as a primary mission. Victims in Saturday motorcycle accident identified, The Sheveport Times, September 16, 2007; Notice of Active Duty Death, The Bombardier, September 21, 2007, p.1. John Andrew Prime, Caddo deputies work double fatality accident, The Sheveport Times, September 15, 2007. Minot Airman dies in motorcycle accident, Minot Air Force Base Public Affairs, July 18, 2007. 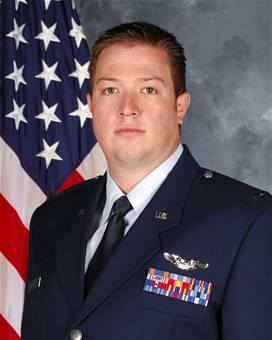 Minot Airman identified, Minot Air Force Base Public Affairs, July 5, 2007. Authorities identify Minot airman killed in crash, Associated Press, July 5, 2007. Air Force official found dead, The Tribune-Democrat, October 16, 2007; Ginger Thompson and Eric Schmitt, Top Air Force Official Dies in Apparent Suicide, The New York Times, October 16, 2007. Robert O’Harrow Jr., Air Force Arranged No-Work Contract: Experts Question Official’s Deal With Nonprofit, The Washington Post, October 1, 2007, p.A01. Top US Air Force official ‘suicided’ [sic] as Iran war nears, Pravda, October 16, 2007. Yvonne Shinhoster Lamb, Obituaries: Russell E. Dougherty, The Washington Post, October 13, 2007, p.B06. General Dougherty, former SAC commander, dies, The Bombardier, September 21, 2007, p.9. Deb Reichmann, Bush Raises Money for Kansas Senator, Associated Press, June 15, 2007. 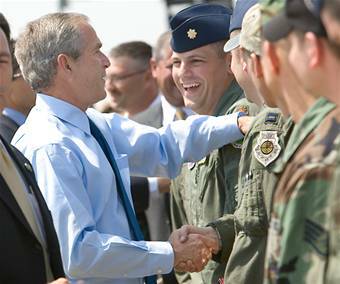 Warbirds meet commander and chief, Minot Air Force Base Public Affairs, June 22, 2007. Staff Sergeant Trevor Tiernan, CSAF visits Minot, Minot Air Force Base Public Affairs, March 16, 2007. Mahdi Darius Nazemroaya, Vigilant Shield 2008: Terrorism, Air Defences, and the Domestic Deployment of the US Military, Centre for Research on Globalization (CRG), October 6, 2007; Michel Chossoduvsky, Dangerous Crossroads: US Sponsored War Games, Centre for Research on Globalization (CRG), October 6, 2007; The March to War: NATO Preparing for War with Serbia? Centre for Research on Globalization (CRG), October 19, 2007. Michel Chossudovsky, New Cold War: Simultaneously, Russia and America Conduct Major War Games, Centre for Research on Globalization, October 16, 2007. Both the U.S. and Israeli governments cite the arrival of a North Korean ship with alleged nuclear-related cargo as proof, but one needs only point out one fact to dislodge this claim. The U.S. government has setup an internationally illegal program involved in policing the seas and maritime traffic, the International Proliferation Initiative (IPI). Under the IPI the U.S. has been illegally stopping North Korean vessels and inspecting them, especially when they have suspected suspicious materials. Hereto, North Korea has not been given any carte blanches from vessel inspections. The U.S. Navy and NATO vessels have a virtual cordon of the waterways around the Middle East from the Indian Ocean to the Read Sea and Mediterranean Sea. If the North Korean vessel had nuclear materials it would never have reached Syria. Missile shield is ‘urgent’ – Bush, British Broadcasting Corporation (BBC), October 23, 2007. Thomas Donnelly et al., Rebuilding America’s Defenses: Strategy, Forces, and Resources For A New Century (The Project for the New American Century: September 2000), p.v. It is here that two things should be noted in regards to physics and magnetospheric physics; Firstly, nuclear explosions from the air are different than ground-based nuclear explosions in many ways (including contamination levels), but the weather and wind direction are major unknowns or variables; Secondly, as a fundamental natural law energy never disappears, it only changes or is transferred. The energy from nuclear explosions can theoretically be transferred into the Earth’ magnetic radiation fields, called the Van Allen Belt or the Van Allen Belts, and used to energize and excite various particles, sub-atomic particles, and ions. Tentatively, if manipulated this can have harmful results on surface areas, including burning electronic and communication devices, and military applications such as disrupting satellites in space. If this were possible Russian, Chinese, Iranian, or Indian military defences, communications, and missile facilities could be effortlessly neutralized. These radiation belts also travel in loops and notionally an energized pulse set off from an area in the U.S. could circumnavigate into an area halfway around the globe. In fact the U.S. military has been experimenting with manipulating the radiation belts since the end of the Second World War. The U.S. Navy’s Project Argus, taking place from August to September 1958, is an example. A total of five nuclear weapons were used; three atom bombs (weapons using nuclear fission) were detonated above the Atlantic Ocean and two thermonuclear or hydrogen bombs (weapons using nuclear fusion) in the Pacific Ocean in an effort to manipulate the Van Allen Belts.